This month I’m not going to complain about anything or make fun of anyone. No – I haven’t had a lobotomy and, as far as I know, no one is suing me. I thought about finding some parallel between the NY Yankees’ collapse in the playoffs and real estate but I did that last year and it’s just as depressing now as it was then. Rather, I’d like to share something I encountered quite by chance which showed me something that can best be appreciated by seeing it. Please enjoy this 3 minute branding video produced by REALTOR Josh Altman which I think is one of the best uses of video for real estate I have seen. 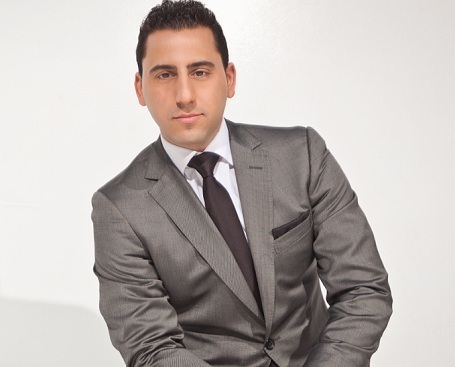 Josh Altman works the Platinum Triangle of Beverly Hills, Bel-Air and Holmby Hills in Los Angeles, California. He and his brother Matthew (http://www.thealtmanbrothers.com/) are a team within the Hilton & Hyland agency (http://www.hiltonhyland.com/). They sell luxury homes and specialize in high-profile clients including entertainers, athletes and celebrities. Josh is, by all accounts, wildly successful and is targeting $100 million in sales for 2012 (http://www.hiltonhyland.com/associates/josh-altman) . He’s been featured in Bravo’s cable show “Million Dollar Listing LA” (http://www.bravotv.com/million-dollar-listing-los-angeles) and is widely regarded as one of the more successful agents in a part of the world with plenty of high-profile real estate achievers. Have you ever heard the saying “show me, don’t tell me”? We REALTORS are inundated by speakers, gurus, trainers and managers who tell us to live our lives with passion and to be passionate about real estate. Josh Altman has never said a word directly to me but has shown me a singular passion. What I saw in that video, aside from its obvious entertainment value, was a natural talent, charisma and passion that showed through his performance. He is very talented and used to be involved in the entertainment world (He does splits on the video!! Can you picture REALTORS you know doing splits? I can and it would be awful and hilarious at the same time). The passion that shows through is also reflected in his choice of production company, music and production values in general. The video was produced by Realm Films, (http://www.realmfilms.com/) an agency and production company that specializes in brand identity, among other client values. Spending the money to hire an agency and top-tier talent is another indication of passion. You may remember from other posts in this blog that this type of branding or advertising of individual agents is paid for by the agent himself or herself and not the company. So, unless Josh called in a whole lot of favors, that video may have had a budget in the hundreds of thousands of dollars. In his market it’s the perfect personal branding instrument. Clients in southern California are very media savvy and media connected and image is extremely important. This video achieves high marks in all those areas. It’s easy to be dismissive or derisive of this kind of talent and achievements – that’s obvious from the viewer comments that follow the video on YouTube. There are, evidently, a lot of angry people out there who can’t appreciate this level of positive passion (and who can’t spell, either). From all the interviews I’ve seen, Altman comes across as pleasant and upbeat. A young man like him can be intimidating, however, with his extroversion, high-priced wardrobe, his self assuredness, his achievement at a young age and his celebrity. You don’t achieve all that without passion, chutzpah, hard work and good breaks and it can make some people feel very inadequate by comparison. Demonstrated passion can also inspire in a way that no lecture, affirmation or any motivational mantra can manage. Even before I heard Altman say he feels this is why he was put on earth, I saw the fervor and I thought this guy would make an excellent guest speaker at one of our company gathering (he rents himself out for corporate occasions – http://www.themilliondollarman.info/) because I think this kind of spirit infects an audience when it’s genuinely felt and practiced. I won’t complain about some of the keynoters I’ve been exposed to who speak about passion, because I promised I wouldn’t make fun of anyone, but I have yet to be infected with the spirit from any of them. Last month I wrote, in this blog, about the virtues of introversion. This month I’m showcasing a textbook extrovert. I made the point last month that a lot of REALTORS only mimic what they think extroversion looks like. This guy, however, seems to be the real deal. Moreover, in Altman’s part of the world an agent won’t get very far being a shrinking violet in a market full of strong personalities. He’s the guy he needs to be to service his clientele. I’ve got no beef with someone who is truly and effectively extroverted and who is successful because of the passion that fuels it. I consider a passion for real estate to be a minor passion. It’s not splitting the atom or working for world peace or the end of cancer. It doesn’t matter, however, where this passion ranks in importance. What matters, in my view, is how it informs a personality, how it molds the actions and behavior of an individual. Altman is obviously invested in his milieu of high rollers and movers and shakers. He participates in charitable events and causes (which is highly recommended when cultivating a high-end clientele) and has made himself very visible and noticeable above the babble – impossible without passion and committment. I enjoyed my brief foray into Altman’s world. It was a refreshing change from the bland and unrealized. I wish him well and hope his passion endures, unabated and undamaged, for years to come.